Our product range includes a wide range of aquamarine stone and green emerald. 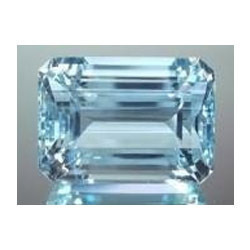 To meet the diversified requirements of our prestigious clients, we are exporting, wholesaling, retailing, importing and supplying Aquamarine Stone. The provided aquamarine stones are finished & polished by using raw gemstone and cutting-edge techniques in accordance with the set guidelines. We offer these aquamarine stones in a variety of designs finishes and shapes in order to the different requirements of clients. These aquamarine stones are checked at vendor’s end in order to dispatch a flawless range to customers. 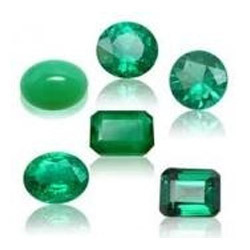 Backed by the support of our experienced professionals in this domain, we have been able to bring forward a qualitative range of Green Emerald. Our creative professionals finish these green emeralds using modern techniques. These green emeralds are available in plethora of shapes & finishes to meet the requirements of customers. The given green emeralds are checked before dispatching to customers in order to deliver a perfect range. Offered green emeralds are demanded in the market owing to their shine & high quality. The name is derived from the Greek word Smaragdos, meaning "green stone"
Looking for Birth Zones ?